The Ibis, a symbol for the first letter in the ancient Egyptian alphabet, has a strong association with the written word. Yesterday the park was overflowing with these beautiful winged ones. Communication was in the air. 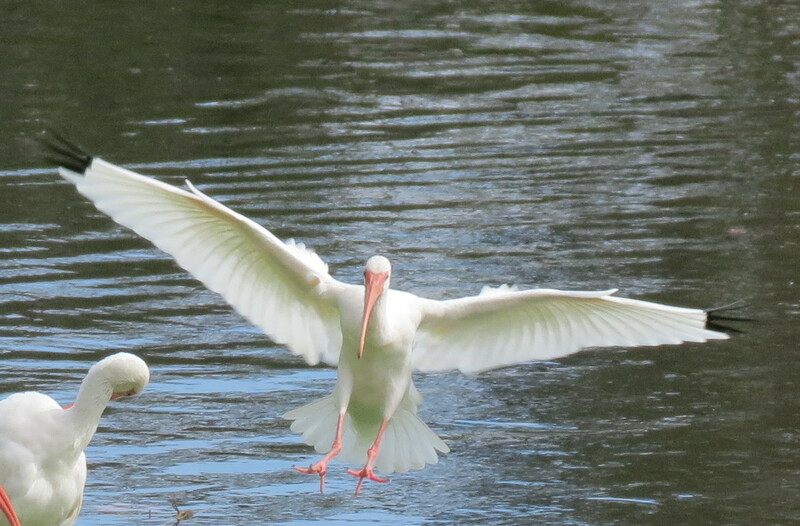 Later while enlarging the photos, I could see this ibis coming in for a landing. Although her wings had been tattered from past storms, she had made it! Landing feet first in the cool refreshing lake, her appearance (a writing symbol) brought to mind the Book of Life. Each day a new leaf awaits our every thought and action. We get to color it however we choose. My ibis friend shown here seemed to teach a lesson: Why not make a joyful splash into the new by being fully present in each moment on the precious page. "The past is over and all that is left is a blessing."